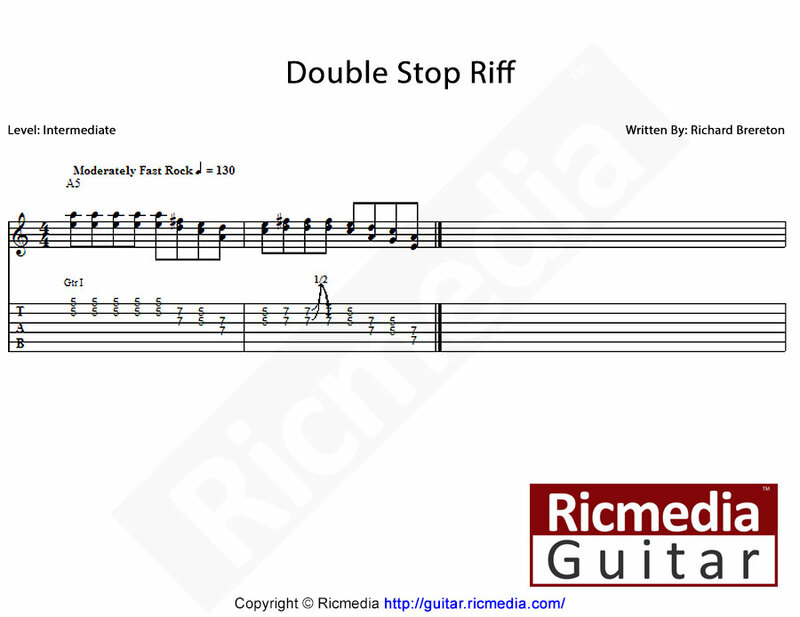 A double stop is generally a dyad (two note) chord or interval pair played simultaneously on the guitar neck. Most often, a double stop occurs on the same fret, on two adjacent strings however, some double stops can occur 2, 3 or even 4 frets apart. The best example of a double stop is the song Johnny B. Good by Chuck Berry (audio of this song below) where guitar part is a series of double stops in between riffs from the minor pentatonic scale. Below is a simple example of double-stop usage. See also the audio sample further below.